Younger audiences probably know Jack Carter best for his guest starring roles on everything from "Desperate Housewives" to Disney Channel's "iCarly." But for baby boomers, Carter will always be the brash, antic, Brooklyn-born comedian who was a near-perfect mimic as well as a singer and dancer. Just as the other comics who came to fame after World War II such as Jan Murray, Shecky Greene, Jack E. Leonard and Totie Fields, Carter was a mainstay in clubs and practically every musical variety show on TV. 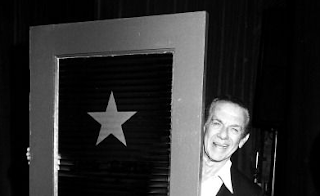 In fact, he said proudly, he made 45 appearances on "The Ed Sullivan Show." These days, he's not playing the clubs. 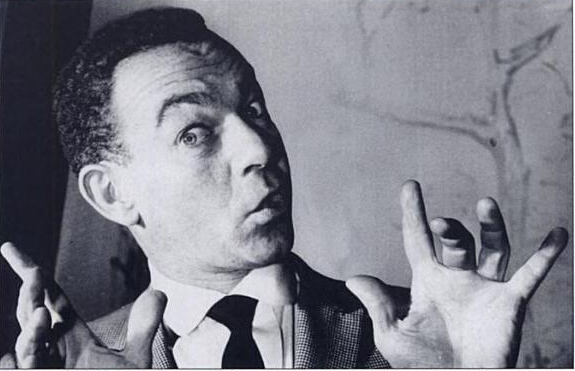 Two years ago, the 88-year-old funnyman suffered major injuries to his legs and head when he and Toni Murray, widow of comic Jan Murray, were hit by a car that was exiting the wrong way through the entrance of a parking lot near the Pantages Theatre. Toni Murray died a few months later of the injuries; Carter gets around with a cane and a walker. But his mouth — and his sense of humor — are doing just fine, thanks. On a recent sunny morning, Carter was holding court in his office at his Beverly Hills home he shares with his wife, Roxanne, their grandson Chace and a lab mix named Ella. He's full of stories of the golden age of comedy, waxing about his friendships with such legends as Jack Benny, George Burns and Fred Allen and the thrill he got playing clubs such as the Copa in New York City. "The Copa was so exciting," he said. "It was the glamour spot of showbiz. In Vancouver, one of my favorite towns, I played the Cave. I was the King of the Cave." But he loved playing Las Vegas the most. "It was the easiest audience in the world," Carter said. "I had a Vegas routine that was incomparable. Johnny Carson tried to copy it. Milton Berle tried to copy it. It was a wrap-up of what you did when you got to Vegas.... Berle sent his wife in to tape it and Roxanne stopped her. She was sitting there with a tape recorder, and she [Roxanne] said, 'I wouldn't do that if I were you.'" Carter didn't play the main theater in the casinos but the lounge. "I was in the Riviera in the lounge. The lounge was big. It was me, Totie Fields, Jan Murray, Shecky Greene. We were the big four. We revolved. We would do an hour, two shows a night. I would up working at the Flamingo at the end." He recalled the times Benny and Burns caught his act in Vegas. "They came to see me five times. They were doing an act there. Jack was in drag playing Gracie [Allen]. They came to see me one night, and I was wild. They came back and Benny said, 'You know, Jack, you do more in 45 minutes than I do in my entire career!'" Though he hasn't done clubs since his accident, Carter has kept working. Besides, "iCarly," Carter has done two episodes of Showtime's "Shameless" as the crotchety owner of the bar William H. Macy's character frequents. Carter has actually come full circle. Though he had been a mimic growing up in Brooklyn's Brighton Beach, he aspired to be a dramatic actor while attending New Utrecht High School. "It was a famous school for big drama," said Carter. "I did 'Cyrano de Bergerac.' I got a scholarship to the Academy of Dramatic Art." Still in his teens, he landed an agent and went on the famous radio show "Major Bowes' Amateur Hour," which he won twice. "I did so many impressions they had me on twice," said Carter. "I did Akim Tamiroff, Wendell Wilkie, Roosevelt, and I did a lot of English actors. I have a natural English accent. I did C. Aubrey Smith, Nigel Bruce and, of course, Basil Rathbone. He was on my show several times. I used to call him 'Nasal Bathroom.'" 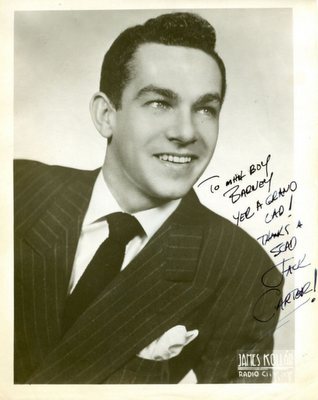 After serving in the Army during World War II, Carter continued to work the clubs and was one of the pioneers of the new medium of TV, becoming the first host of Dumont's Saturday night variety series, "Cavalcade of Stars," in 1949-50. Jerry Lester and then Jackie Gleason took over the reins when Carter was hired by NBC in 1950 to be the first hour of the "Saturday Night Revue," which consisted of "The Jack Carter Show" and "Your Show of Shows" with Sid Caesar, Imogene Coca, Carl Reiner and Howard Morris. Max Liebman, the producer of "Your Show of Shows," was angry, said Carter, because he felt his series was too similar his show. "I did funnier comedy," said Carter, adding that he "had a great choreographer that put me in the dance numbers." But even though Liebman protested, Carter didn't change the show; Liebman won the battle. "He had me taken off the air," said Carter. "I was on for exactly one year!" 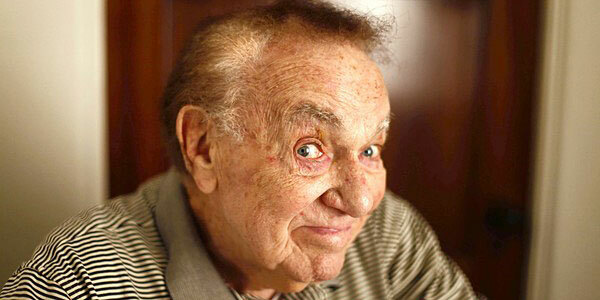 Great tribute to a funny man. I remember him very well -- he was so, well, Brooklyn! He certainly must have been a comedian's comedian if someone like Jack Benny would say that to him. A toast to Jack Carter!